Another spooky Stephen King adaptation is coming to theaters. Paramount Pictures dropped the first trailer for a remake of "Pet Sematary," a thriller that follows a family that has moved into a new home. The remake stars Jason Clarke as a doctor named Louis Creed who moves his family out to the country, where their toddler dies in a car accident. John Lithgow plays their friendly neighbor, Jud Crandall, who introduces them to the local pet cemetery (misspelled as "pet sematary" on a handwritten sign) nearby, where the buried come back to life. In the trailer, Lithgow's voice is heard saying, "It was a myth. Kids used to dare each other to go into the woods at night. They knew the power of that place. They feared it. Those woods belong to something else … The ground is bad. It maybe just some crazy folk tale. But there is something out in those woods. Something that brings things back. Sometimes dead is better." The clip shows Louis waking up to see his feet covered in dirt and leaves from the woods, and children wearing creepy animal masks while they mach together. The teaser also shows the Creed family's cat back from the dead. The remake of "Pet Sematary" was greenlit in December; the book was also adapted into a film in 1989. Last year, "It," which was another King adaptation, was a smash hit in theaters. "It" became the highest-grossing horror film in history. 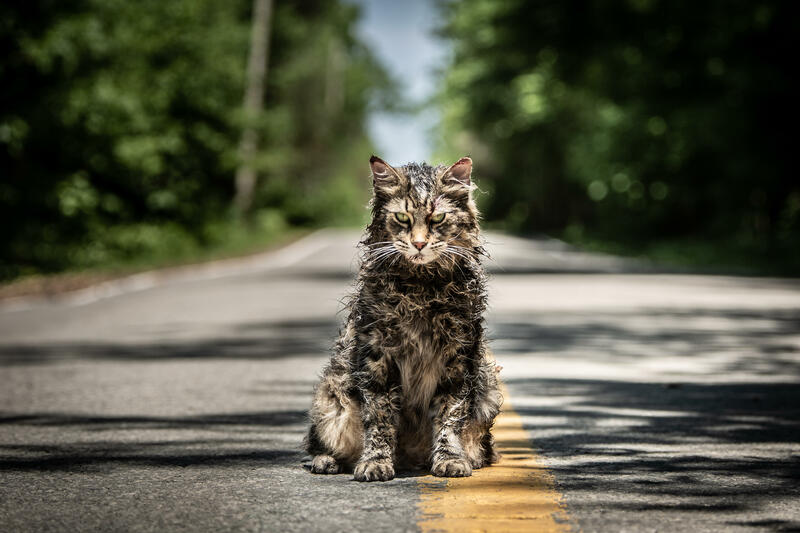 "Pet Sematary" hits theaters on April 5, 2019.